Mill Hill Centre is only a 5 minute walk from Bondi Junction station . 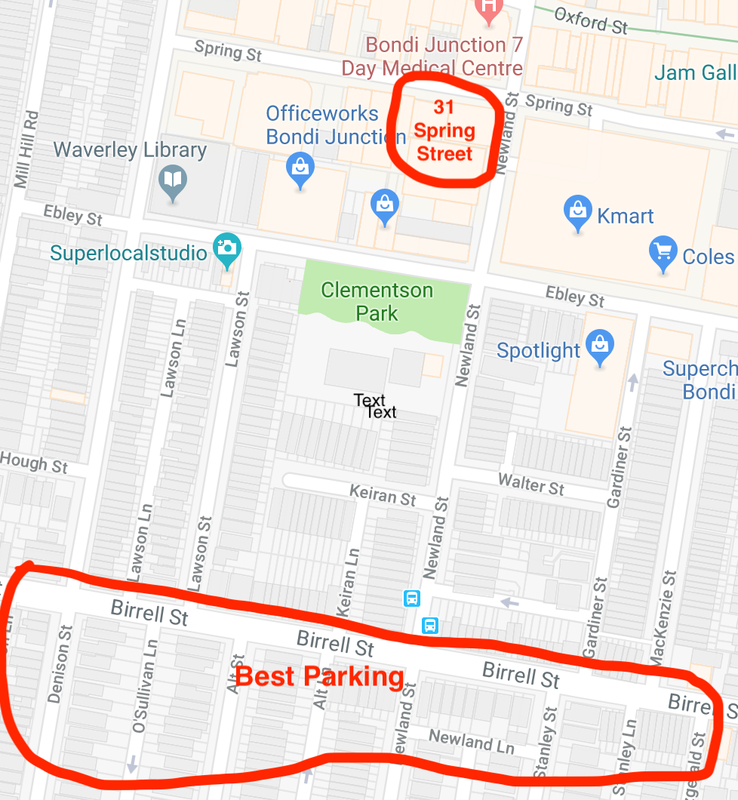 Street parking in Birrell Street (anywhere between Newland and Lawson Sts) and streets south of Birrell is unrestricted all day on Sundays (2 hours on Saturdays) - e.g Alt St and Stanley St.
Birrell Street is an 8 minute walk from Mill Hill Centre. Anywhere north of Birrell Street and close to Spring St is usually 30 mins - 2 hours restricted and /or metered.